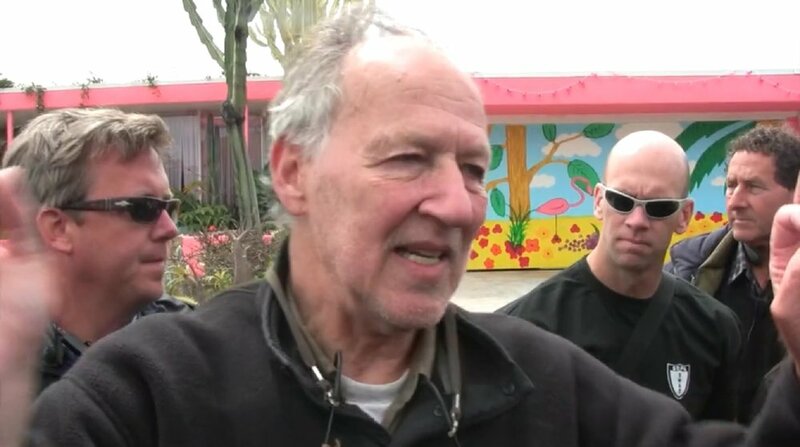 Nottingham International Film Festival will open with a screening of documentary The Ballad of a Righteous Merchant, about the acclaimed director Werner Herzog. The film will screen at 4PM on Sunday 11th November at Cineworld Nottingham. Directed by Herzog's friend and collaborator Herbert Golder The Ballad of a Righteous Merchant offers a candid glimpse of the idiosyncratic director at work on his film My Son, My Son, What Have Ye Done. Shot during the making of the film and featuring contributions from Willem Dafoe, Michael Shannon and Chloe Sevigny the film is a must see for anyone interested in cinema and the work of one of the mediums true greats. Golder will be attending the screening and will discuss the film in a post-screening Q&A. The Ballad Of A Righteous Merchant screens as part of the Nottingham International Film Festival at 4PM on Sunday 11th November at Cineworld Nottingham.